The magnificent, hand carved designs embellishing this luxurious, handcrafted headboard were all created by our skilled craftsmen. 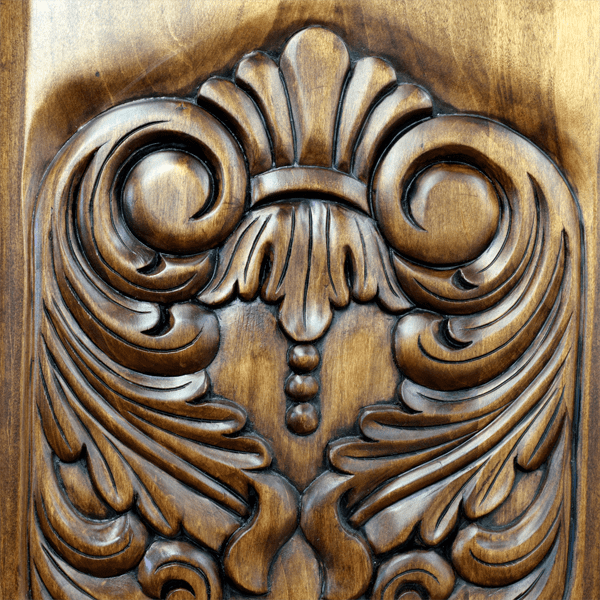 All of our furniture is custom made, and we can adorn your furniture with any hand carved designs that you would like. The headboard has a rectangular, solid wood frame, and the top of the headboard has an exquisite, straight, top crest, with curved ends. The crest is accented with gorgeous, hand carved, floral and scroll designs. 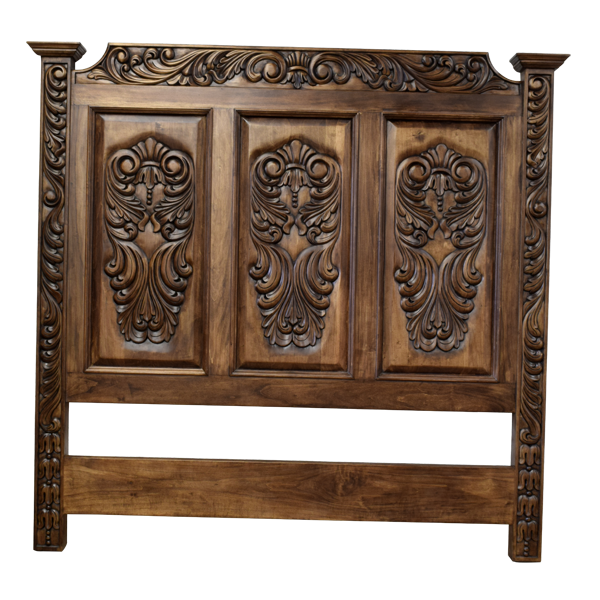 The front of the headboard has three, vertical panels, and each panel is enriched with spectacular, hand carved, scroll designs. The panels are divided by two, solid wood uprights. The headboard is framed with ornate, side uprights, and each side upright is embellished with beautiful, hand carved, scroll designs and a staggered finial. It rest on square cut legs, and it has a beautiful, classic finish. The headboard is made with the best, sustainable, solid wood available, and it is 100% customizable.